As a singer who records and produces her own vocals, I’ve been through that lengthy process of “learning by doing.” After years of hitting record without a plan for my session, the mistakes I’ve made over time have led me to develop some systematic techniques that allow me to dive in more quickly and confidently every time. These solutions often save me time and headaches when I enter the mixing process, as well. Here are some elements of my system that you can use to figure out your own. And since I’m a Soundfly Mentor, I’d love to work one-on-one with you to help hone your recording and production process. Fill out this quick interest form and we’ll help you come up with a plan to meet your learning goals. 1) Open a whole new session for just your vocals. Print your stems or submixes, and import them into a new session before you start tracking your vocals. You’re going to need a lot of CPU power if you’re planning on having multiple layers of vocals in your song. 2) Layer your lead take with double takes underneath, separated by octaves if applicable. I often layer my lead vocal take with two double takes throughout the track, so that I can use them at a low volume in the verses and at a higher volume in the choruses. That way, my lead vocals will sound impactful all the way through, while still changing with the energy arc of the song. I also can’t live without at least two takes of octave layers (high and/or low octave versions of the lead melody) in the choruses. While you’re recording backing vocals, always pay more attention to matching the vowels and vibratos between the lead and backing takes than matching the pitch. Pitch is the easiest thing to fix in mixing; manipulating the performance itself, though, is no easy task. 3) Record the double of any lead take with a different microphone, if possible. I used to record all my vocals with one microphone, because, let’s face it, it’s way more practical! But with the same mic, it’s much easier to run into phasing issues that you’ll have to clean up later. So while it seems more convenient up front to use a single mic, it can come back to bite you on the back end of your process. I now record with three microphones. I sing the lead vocal three times and record two takes each of any backing vocal part (i.e., I never sing the same line with the same microphone twice). With this method, if you pick microphones with significant differences in their frequency response, you’ll find that the overall vocal production will sound full, even before you start mixing! But, keep in mind: You may find that the perceived volume is different in each take, which can affect the way you sing, so keep your eye on the VU meter, and trust your ears. 4) Follow the order of comping, aligning, making fade edits, and automation before you start tuning. Sometimes when I’m rushing to get to the finish line, I move quickly through these steps and end up transferring a take into Melodyne without double-checking my fade edits. If you want to avoid going back and having to re-edit your work, you should comp and align your vocals first, do some simple fade edits next, and finally, spend some time with the clip gain and automation features in your DAW to make sure your vocals are as even as you want them to be before you compress them. 5) De-ess & de-breath manually, instead of using plugins. Sure, Waves’ plugins, DeEsser and DeBreath or iZotope’s RX audio doctor software will all get the job done as they’re designed to, especially if you’re on a deadline, but they’ll make large sweeps over an element of your vocal performance that you might want to manage with a bit more subtlety. If you really want to achieve natural sounding breaths and controlled sibilant consonants, go through it manually. De-breathing: I often use giant fades to make my breathing sound natural without having it stand out in my lead track. Keeping breaths in your lead vocal is more than enough on most occasions, you should probably edit them out completely in backing vocal takes. De-essing: This may sound insane or excessive, but I actually prefer just turning the volume down manually any time I hear a prominent sibilant consonant in my takes, like those pesky “s,” “sh,” and “ch” sounds. I keep my lead vocal take as natural as possible, usually turning those areas down around 10dB or less. In my backing vocals, I chop all those annoying sharp sounds down using Logic Pro X’s Clip Gain feature, and insert some crossfades to make them sound as smooth and untouched as I can. Have you done all of the above? Have you listened to all of your vocals in isolated groups and all together? You’ll probably notice at this point that they’re starting to sound pretty darn good, without even tuning or processing them. Now, because you’ve done all of the above tasks, the tuning process will be a breeze. I use Melodyne for this job, and once I transfer my takes, I set the pitch center to 80% and the pitch drift to 50%. After that, I trust my ears completely. Do not obsess over how on-pitch your vocals have to be here. If it sounds good to you, that’s all that matters! I even sometimes end up de-tuning some notes manually afterwards because I like the way it sounds. Another thing to keep in mind is that sometimes Melodyne can interpret certain vowels in different ways for each take, and you may end up with some unwanted dissonant sounds here and there. Always compare all the takes, solo them in groups of two or three, and make any necessary adjustments by ear. 7) Export your vocals and import them back into your final production session. I print my vocals after I’m done with the tuning process, because no matter how incredible plugins may be at their job, they can slow down my computer and make it really difficult to work. After I’ve imported my vocals into my most recent production session, where the most updated version of my track exists, I make the necessary adjustments to the whole song. Even though I try to send all my tracks to a professional mixing engineer, I still like to EQ and compress my vocals, and add delay and reverb to my linking first, just to get an impression of what I’d like to hear in the end result. When you get a mix engineer on board to share their thoughts and expertise, if you bring your track to a place where you’re pretty happy with it, and print all the FX busses and specify that you want them in there, there is a very high chance you’ll get back a mix that sounds really close to what you had pictured! In this article, I’ve mainly focused on the vocal production process and how to get your vocals mix-ready. But, a general note about EQing your vocals, if you want to give yourself or your mix engineer a head start: You’ll always need to turn down the frequencies below 100 Hz for all those room sounds and boost the 5-20 kHz range a little bit to give your vocals some brightness. As for subtractive EQ: Don’t take anything out unless it’s absolutely necessary. Every time you cut some frequencies in the vocal performance range, your vocals will inevitably lose some of their fullness. If all this sounds overwhelming and frustrating to you, the truth is: yes, sometimes it can be! But having complete control over my vocal production has liberated me as a singer/producer, and even as a writer. I’ve noticed growth in my musicianship because I developed my own techniques over the years, most of which I just shared with you, and I’ve realized that my process is shorter and my product is better each time I embark on a new project. And the joy I get from that realization is truly priceless. Longing for more tips? Revisit our recent Office Hours session here to learn how EQ and compression can be used to cleverly augment the expressiveness of your home-recorded vocal tracks. 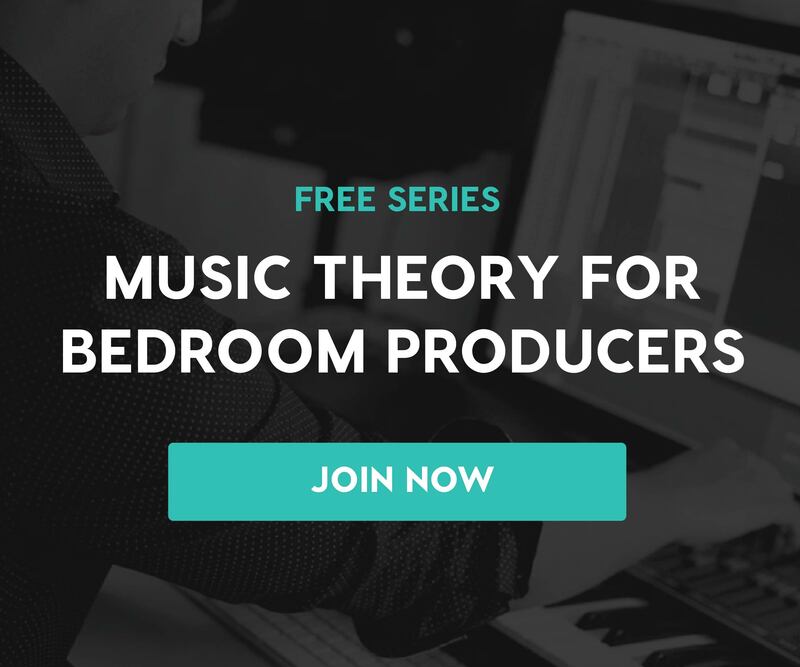 To learn more songwriting and mixing techniques and tips and have the opportunity to work with a professional producer 1-on-1 for six weeks on enhancing and refining your skills, check out Soundfly’s online courses such as Songwriting for Producers, Modern Mix Techniques, and Making Music in Logic Pro X. 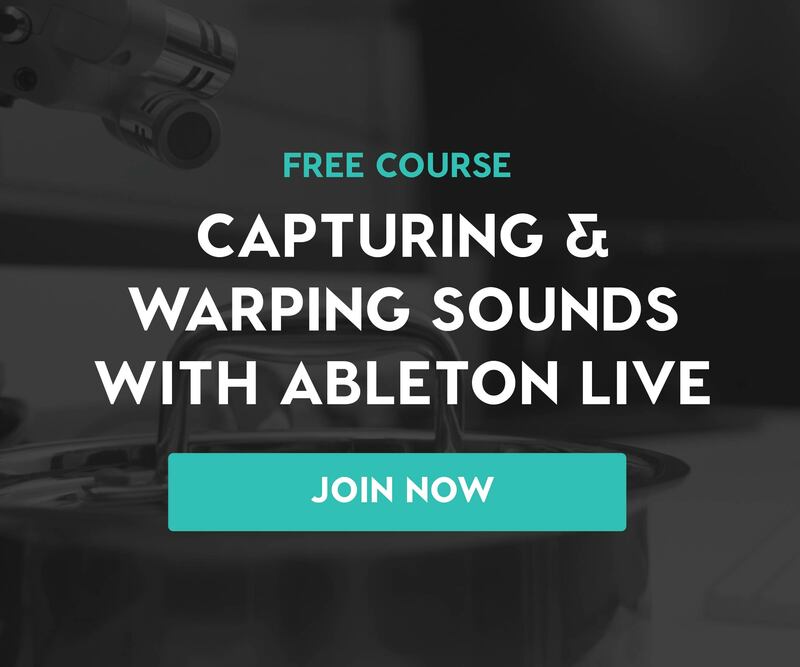 Preview a section in each course for free before you sign up.